In the Duty Report a variety of information is entered by the user. The user can enter game results, game payments, umpires and any team notes etc. The Duty Report is the main area of Sportskeep that offers easy access to all information that would be required during the course of a shift as competitions are being played. Directly from this screen you can SMS or email game times to Team Captains or all team Members. In the Calender File management is able to view or edit original fixture. Also at a click of a button the user can vacate and reserve courts Games are automatically updated from the calendar to the Duty report. Here the user can view the time, court, team, game, round, grade and team information relating to the fixturing such as Time Preferences. 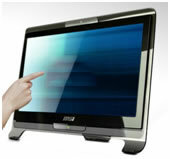 The user can view a particular day and/or sport with the click of a mouse. Sportskeep maintains a comprehensive database of both teams and individual members. Add, edit and delete a variety of team information. This screen allows the user to edit all team administration. This function lists all players in individual teams and by a tick in the box the user can update player qualification and registration/nominations. The user can also administrate player statistics and team accounts. The team Administration screen shows a team’s financial status and player participation. Directly from this screen you can SMS or email Team Captains or all team Members. You can also print various reports on ranges of teams and members, from games played to registered players. Sportskeep maintains a comprehensive database for each member including personal, sport, financial and player statistics. Add/edit via members or team administration screen. Easy search capabilities either by member ID or surname. Report on members by selecting various fields, and send correspondence via SMS, email or print mailing labels. The user can enter an unlimited number of teams into grades in a variety of seasons and sports to fixture games. Sportskeep unique fixture algorithms allow for selection of fixed night, rotating reference and compact 5 in 4 competitions – there’s also an available series of finals’ fixtures to choose from. Other major features include team preference selection; round by round grade shuffling to provide an even game spread andautomatic detection of team clashes between sports. At anytime in the season the user is able to edit teams from grades and preferred playing times with information transferred through the system to alter and update fixtures. 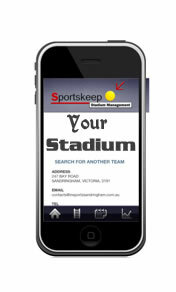 Sportskeep has the ability to print individual Team Fixtures by Team, Grade or Season for distribution to all players. Sportskeep allows you to publish information such as Game Times, Ladders, Results via each facilities personalised SportskeepGlobal website and “Smart” phone application. Communicate easily with your players from various menus of Sportskeep via an SMS. Ideal for Team captain and player messages, or Game Time reminders, as well as marketing to inactive players and members. Communicate easily with your players from various menus of Sportskeep via email. Ideal for Team captain and player messages or Game Time reminders, as well as marketing to inactive players and members. Download updates and improvements to the Sportskeep software automatically as they become available..
Get access to Rules and Policies which are used around the world as examples of “Best Practice” procedures for the industry. Easily backup your data at the click of a button to ensure your information is always safe. Sportskeep allows the user to print a variety of reports relating to Team and Player information as well as relevant Fixture and Court Occupancy Data. Datascore Scoreboards Both Sportskeep and Touchscreen Logins can be fully integrated with our optional Datascore Scoreboard system with results and player statistics automatically transferred from the scoreboards to the Sportskeep database. Sportskeep can be fully integrated with our optionalTouchscreen Login software with all information being updated into the Sportskeep sytem. This features greatly reduces the amount of data entry required and ensures up to date player and team information. The Sportskeep Software was crucial to the success of the league based team sports introduction into the Japanese market in 2000, and continues to drive the business for Konami Sports Clubs in Japan. Sportskeep allows us to fixture both our Netball and Soccer competitions on multiple courts and manage our results collection professionally and efficiently – which is a real win for both our staff and customers. I started using Sportskeep when my competitions were only small and it has allowed me to gain control of my competition administration as the team numbers and my business have grown. With a new team learning the software for the first time the support and assistance has been second to none.